Free Firecracker Chicken Breast at Panda Express Today 1/23 | A Savings WOW! 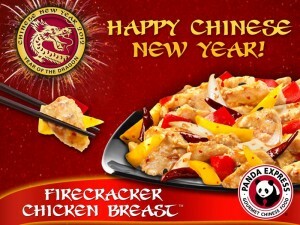 In honor of Chinese New Year, you can get a free Firecracker Chicken Breast entree at Panda Express today. Just visit their Facebook page, print out the coupon, and bring it to your nearest Panda Express location.